Time to push out a bunch of draft blog posts that have been piling up. First up is a new study finding that a large percentage of dental bib clips harbored bacteria even after disinfection. What I liked about this study was that they made a good effort to explain that they didn’t find any pathogens and that there wasn’t any indication that this was a potential health problem. There are certainly other bacterial surveys we’ve seen that could stand to take a more reasonable tone like this. People should see there dental doctor regularly just to make sure if there already acquired a specific bacteria infection. 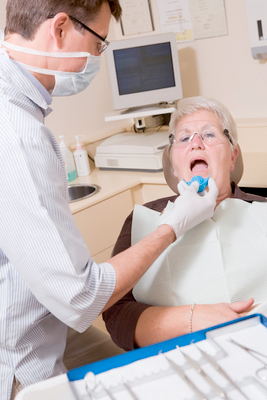 If you are worried about the bib clips, you can really worry about sitting (or reclining) with your mouth held open for lengthy time periods in a dental office where mechanical ventilation redistributes particles (including, of course, the infectious bacteria and viruses contributed to the air environment by other patients, the dentists, and the dental office staff members too. Read Don Jewett et al’s 1992 study, BLOOD-CONTAINING AEROSOLS GENERATED BY SURGICAL TECHNIQUES A POSSIBLE INFECTIOUS HAZARD from the American Industrial Hygiene Association Journal, Volume 53, Issue 4, 1992 – at http://www.tandfonline.com/doi/abs/10.1080/15298669291359564. Keep in mind that the article was published back when a lot more attention was focused on the risk of HIV transmission during many typical dental and medical procedures, and that Jewett and his colleagues were working in the San Francisco Bay Area where AIDS was an major public health concern at that time. Jewett, himself an orthopedic surgeon on the faculty at University of California San Francisco Medical School, saw that many common medical procedures aerosolized blood and other fine particles that could be casue for concern, to the physician performing the procedure. Obviously, other medical staff and patients as well would be at risk.